The Benefit Corporation movement recently celebrated the registration of its 2000th business as a B Corp. According to its website, “B Corps are for-profit companies certified by the non-profit B Lab to meet rigorous standards of social and environmental performance, accountability, and transparency.” At present there are 2,003 registered B Corps spread across 50 countries, 130 industries and with 1 unifying goal. 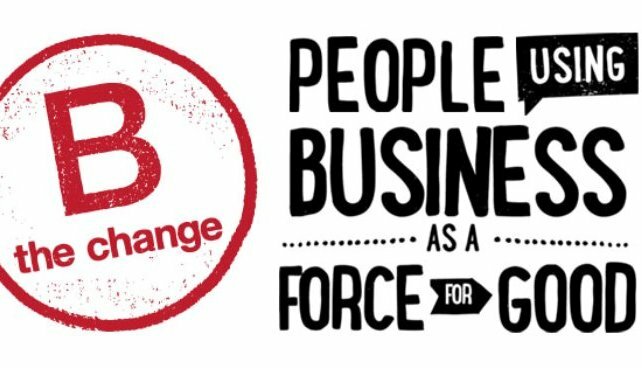 By becoming a B Corp companies agree to abide by the B Corp ‘Declaration of Interdependence’ which business is used as a force for good, companies exist for the benefit of all stakeholders not just shareholders. In doing so, companies seek change in the world, believe that people and place and matter and strive to conduct business in a manner that does no harm and is of benefit to all. For many organisations, not only does becoming a B Corp make business sense, but it also offers them the opportunity “to be part of something bigger than themselves.” Companies can become a B Corp to lead or support a movement, stand out from competitors and pretenders, pass legislation, attract investors, generate press, benchmark company and industry performance, save money and access services, attract and engage talent, protect their mission, participate in an advertisement campaign and/or to partner with like-minded peers. Collectively, companies that register agree to join and “lead a growing global movement of people using business as a force for good.” It is expected that out of this, one day, companies will compete to be best for the world rather just for themselves. If this happens society will benefit from improved and more shared and durable prosperity for all. There are three steps that companies can follow in order to become a registered B Corp. Firstly, they must complete the ‘B Impact Assessment.’ This step, which assesses the overall impact of your company on stakeholders and validates the company’s social and environmental performance. A minimum score of 80 out of 200 is required in order to proceed with the registration process and to become a B Corp. Secondly, companies are expected to meet the legal requirement of B Corps ensuring that “sustainability is baked into the DNA of your company.” This can support maintaining the company’s strategy during periods of growth, attract outside capital or plan succession ensuring that the vision can survive employee and managerial changes. Finally, companies the need to make their new B Corp status official by signing the B Corp Declaration of Interdependence and Term Sheet. Companies uncertain about whether or not they wish to become a B Corp can look at the B Impact Assessment tool. Becoming a B Corp can help a company better measure what matters, attract and retain top talent, give its employees a chance to engage and lead and for the company to benchmark its performance on a year to year (and industry) basis from which realistic growth goals can be set.